It helps if you don't compare the latest instalment of True Detective to its superlative first season. Compared to that, you're setting yourself up to be disappointed. 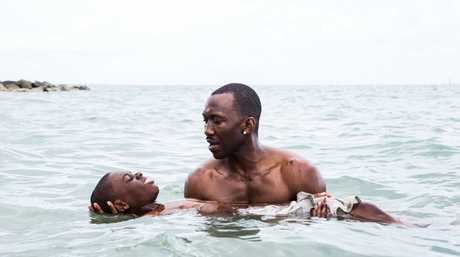 But taken on its own, it's a watchable, albeit slow, crime mystery featuring a brilliant performance from Mahershala Ali. When Matthew McConaughey and Woody Harrelson fronted the first series in 2014, it was a cultural phenomenon, inspiring eons of twisty, dark, nonlinear crime shows including The Sinner. When season two came out, despite a trio of excellent performances from Colin Farrell, Rachel McAdams and Taylor Kitsch, it didn't hit for a lot of people (full disclosure, I didn't think it was that bad) and the True Detective brand took a three-and-a-half-year sabbatical, until now. Giving itself that time to regroup, and coming back with someone with the gravitas of Ali, is a persuasive argument for a rebirth. 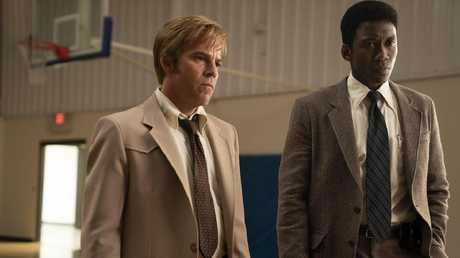 But knowing that it has something to prove burdens this new instalment (True Detective is an anthology series) with a self-conscious tone where everything seems laboured - it always feels like it's trying so hard to be moody and sombre. Set across three time periods - 1980, 1990 and 2015 - in the semi-barren landscape of the Ozarks, the story follows an African-America detective, Wayne Hays (Ali), who, with his partner Roland West (Stephen Dorff), catch a missing persons case when, in 1980, two young kids fail to return from their bike ride. No case is "simple" but no one could've foreseen the sh*tstorm stirred up by this crime - not Wayne, not Roland and not the kids' parents, Tom (Scoot McNairy) and Lucy (Mamie Gummer), or the local teacher Amelia (Carmen Ejogo). Maybe, just maybe, Stephen Dorff is finally primed for a comeback. Ten years later, Wayne is deposed in a lawsuit involving the original crime while in 2015, he has to relive the case again for a true crime documentary. It takes a long time for the story to unfold over its early episodes, the show deliberately holding back what's really happening, even if it drops hints of foreshadowing. The jigsaw nature of it is done to create an air of mystery, though it frustrates more than intrigues - partly because True Detective hasn't established why this particular crime is more interesting than what's on the surface. It's a shame that the story isn't tighter because the performances really are very good. Ali, playing the same character at three different ages, is enthralling. He makes every choice seem natural but thoughtful - there's a dynamism to his performance that makes looking away an unthinkable choice. As a character, Wayne is a former Vietnam War tracker, someone who's very methodical and deliberate but with excellent instincts. And this is a character that convincingly evolves - seeing him 10 and 35 years down the track, a person whose skills and talents were dismissed because of his race and because, we're teased to believe, of what happens in this case. That character growth is as much on what Ali brings to Wayne than what's on the page or in the direction - it's in the little details of his body language or his intonation. Dorff is overdue for a comeback - he's always been an interesting actor and 2009's Somewhere should've seen him back in the mix if the movie itself had made more of an impression. Maybe this will get people to take notice - even if, for the first few episodes at least, he has little to do. 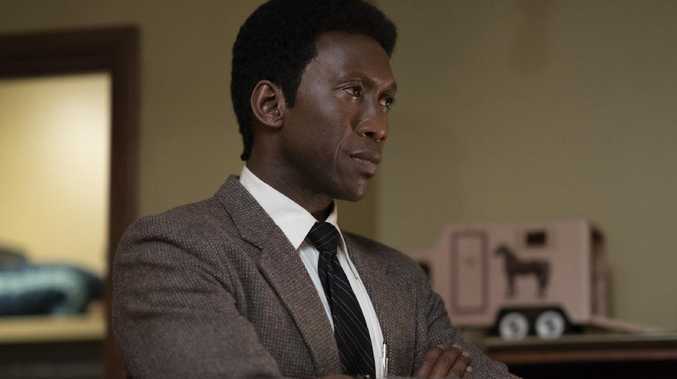 True Detective season three isn't going to hit the highs of its freshman season with its uneven start, but if you're a patient viewer who is happy to sit through a slow burn, or will watch anything with Mahershala Ali, maybe there will be a reward at the end. Maybe. True Detective season three starts tonight on Fox Showcase on Foxtel at 8.30pm ADST.